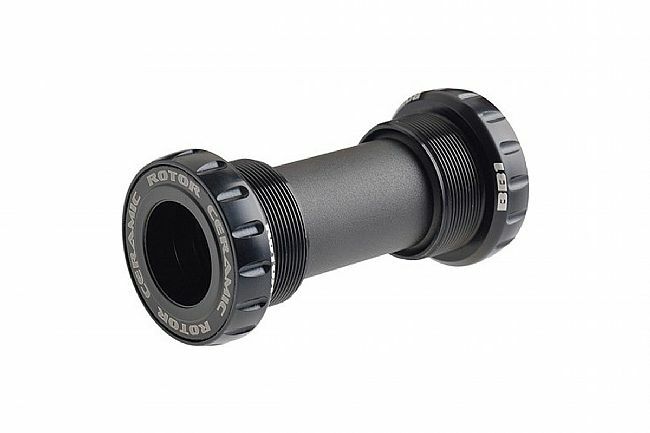 The Rotor BB1 BSA24 Bottom Bracket offers a lightweight, reliable piece of engineering designed for reliable performance and compatibility. Featuring a lathe and CNC construction, the BSA24 Bottom Bracket features heat treated 7075 aluminum for optimal stiffness without compromising on weight. Inside, steel bearings and labyrinth seals work together to spin effortlessly and prevent contamination. Compatible with all Rotor and Shimano cranks with 24mm spindles. CNC and Lathe heat treated 7075 Aluminum construction. Labyrinth seals and steel bearings.